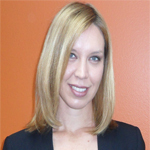 Michelle is the founder of McCue Marking Communications, LLC in 2009. Her company focuses on the intersections between the destination, wine and food industries and offers a blend of traditional and cutting-edge communications services to clients in these sectors. A strategic marketing communications professional, Michelle has more than a decade of experience promoting places and products. Her client experience includes organizations such as Tourism Fiji, Visit Del Mar, the Orange County Tourism Council, The OCeanfront Luxury Resort Collection, Winegrowers of Dry Creek Valley, Montes Wines, Temecula Valley Winegrowers Association, Centers of Laguna Niguel and many others. Michelle holds an M.A. in Mass Communications from California State University, Fullerton, where her research focused on strategic public relations and social media. She also holds a B.A. in Creative Writing from University of California, Riverside, where she served as editor of the Highlander newspaper. Michelle is also a frequent guest speaker on the topics of marketing, public relations and social media for communities and wine regions. She is a also a board member of the Orange County Tourism Council, UCLA Extension Center’s Public Relations Advisory Board and the Center for Tourism & Entertainment Studies at Cal State University – Fullerton. She is also a member of the International Association of Business Communicators (IABC), California Women for Agriculture (CWA) and the Public Relations Society of America (PRSA), in which she is active in the Travel & Tourism section.